Star Trek VI: The Undiscovered Country met me with mixed feelings. This would be the last we would see the original cast in their original roles all together in a film. That film was amazing! 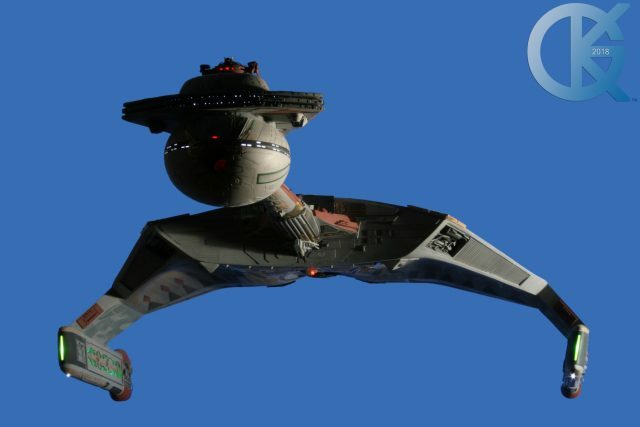 The Klingon Cruiser, a K’Tinga design that was made into the Chancellor’s Flag Ship was gorgeous, and intricate. We managed to build the very first replica of the model used in that film, and I thought I would add it to this fantastic scene with the Starship Enterprise on it’s Starboard side. I hope you enjoy it!